A new Industrial IoT gateway called MPC-730 has just released by ADVANTICSYS. It completes our portfolio by adding Wireless M-Bus concentrating capabilities empowering customer to collect data from up to 50 meters operating on either 868 or 433 MHz bands. 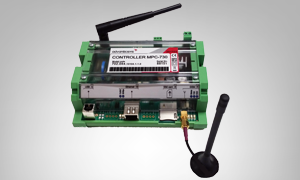 Similarly to our previously existing IIoT gateways, the new MPC-730 open standard-based design allow for transfer and communication of data over an Intranet or Internet communicating directly with HMI, SCADA or BMS applications by making use of Modbus RTU/TCP, FTP or Message Queuing Telemetry Transport (MQTT) protocols, being perfectly suitable for Industry 4.0, M2M and IIoT applications. More info can be found at MPC-730 product page. Headquartered in Spain, ADVANTICSYS provides remote monitoring and control systems based on wireless sensor networks and industrial monitoring equipment with applications in areas such as processes control in industry or environmental monitoring. The Center for Advanced Studies in Fruticulture (CEAF) is a research center located in the O’Higgins Region, in central Chile, whose objective is to improve the scientific and technological competitiveness of the region through solutions and technological innovations that improve productivity of key fruit species. In partnership with our subsidiary company Epssilon Networks, established in Chile since 2011, we have recently implemented a Controlled-Environment Agriculture solution with professional LED lighting for plant growth provided by our partner Valoya, with carefully selected lighting spectra for maximum crop performance. This system has been deployed inside a growth chamber, isolated from outdoor ambient variables, thus allowing the cultivation of crops under controlled conditions. This system, like all that we deploy in this market, can be controlled and regulated through the use of the UCM-316 controller, capable of performing scheduled controlled actions or ad-hoc and monitored by our wireless temperature, humidity and CO2 sensor, IAQM, through the Concordia Cloud platform, where data is sent in real time and from where notifiable events are generated by email. By using this technology, it is expected to achieve energy savings of 40% to 50% compared to traditional sodium lighting systems, and under certain conditions could be more than 60%. The technology will also help reduce growth times by approximately 22%, while generating more vigorous plants. As an example, crops that usually take 12 weeks under traditional fluorescent or sodium lighting systems, would take only 9 weeks on average to reach a similar and even better development stage than with traditional systems, and only 50 % of energy consumption. In this way, it is possible to increase the number of productive cycles in a given period of time, by using the same infrastructure. More information about our Smart Agriculture solutions can be found here. According to the World Health Organization, air pollution is causing around 467,000 premature deaths in Europe every year. Cities around the world are committed to improving air quality by drastically reducing the main contributor: road traffic. In most of the cases, drastic measures are being taken by capitals like London, Paris or Madrid forbidding private cars usage on given days or during seasons. However, this is not enough. With powerful technology-enabled tools, cities can improve their decision-making process. 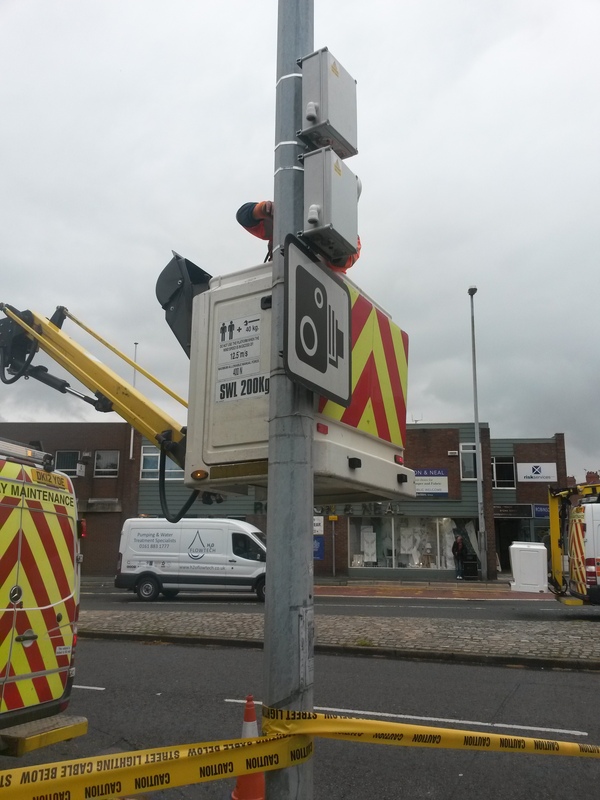 One example is the successful project developed in Chester City (United Kingdom), where Advanticsys Internet of Things technology has been used to reduce air pollution caused through traffic congestion by linking air quality measurements to a local authority’s traffic management control system. The project aimed to test the feasibility of developing an integrated data platform for Chester city centre. The focus was on linking a novel air quality network of low cost wireless sensors with the traffic management within the city centre to alleviate air pollution ‘hot spots’ caused by queuing traffic. Advanticsys provided a scalable low-cost wireless sensor network which included air quality sensing units measuring key traffic pollutants: nitric oxide (NO), nitrogen dioxide (NO2) and particulate matter (PM). The end-to-end solution provided by Advanticsys is completed with the Concordia Cloud platform, where the data from sensing units are being sent in real time. The platform also includes events notification by email. Nowadays, it is increasingly important that public buildings are as energy efficient as possible. This is a not only a global trend for new buildings but also for existing ones. One such building is the St Teilo’s High School in Cardiff, Wales. Built in 2014 to BREEAM Excellence, the building already has a state of the art building management system. However, having so many meters/sensors monitored made it hard sometimes to locate what the problem was. Thus, an additional heating monitoring solution was required to simplify where heat was dispersed – creating heating zones. This required the installation of heat meters in 9 locations, 2 of them in the Ground floor and 7 in the First floor. Wireless M-Bus T1 Heat meters. Being battery-operated, they were the best option to avoid power wires deployment. They included 2 PT500 temperature sensors. DM-108 wireless bridges. Supporting both Wireless M-Bus and Modbus RTU, they provide seamless connectivity between heat meters and data concentrators. MPC-333 data concentrators. They logged and sent heat meters data to the cloud platform in 15 minutes intervals using FTP. 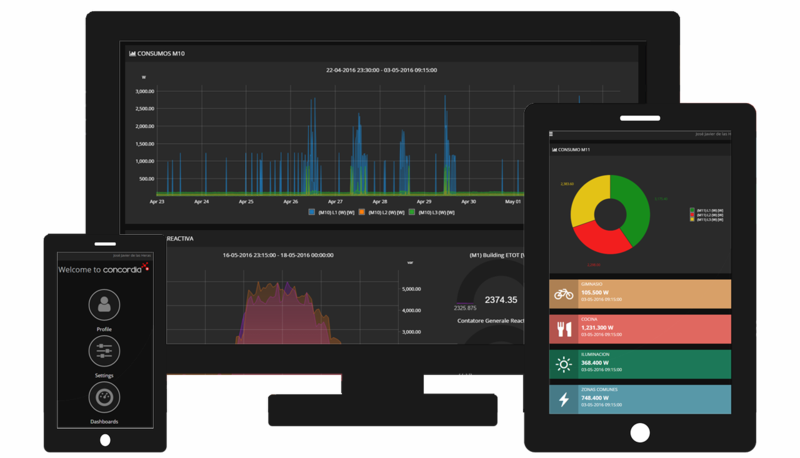 Once every device is properly configured put in place, via the Concordia Cloud platform, the user can access each meters data, develop customized dashboards and be able to download data for further analysis. The platform also includes events notification by email. The data collected on a local FTP server at the school, and sent to a central Council FTP from the MPC-333 data concentrators. Sending data to multiple FTPs is another useful feature of the wireless solution. 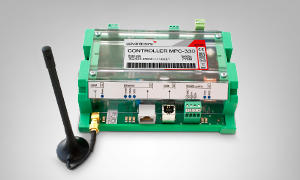 As part of the continuous improvement of products and services Advanticsys provides within its catalog, the evolution of best-selling MPC-330 data concentrator is released today. This enhancement converts MPC-330 into a truly industrial gateway bridging the gap between industry and Internet of Things (IoT) paradigm. For some years, IoT is spreading throughout our world, from our smartphones to even our appliances. However, its penetration in the industry is limited due to the lack of compatibility between legacy systems and new protocols. Now, Advanticsys adds to its Modbus data concentrator the ability to easily integrate into any IoT software platform using the Message Queue Telemetry Transport (MQTT) protocol. 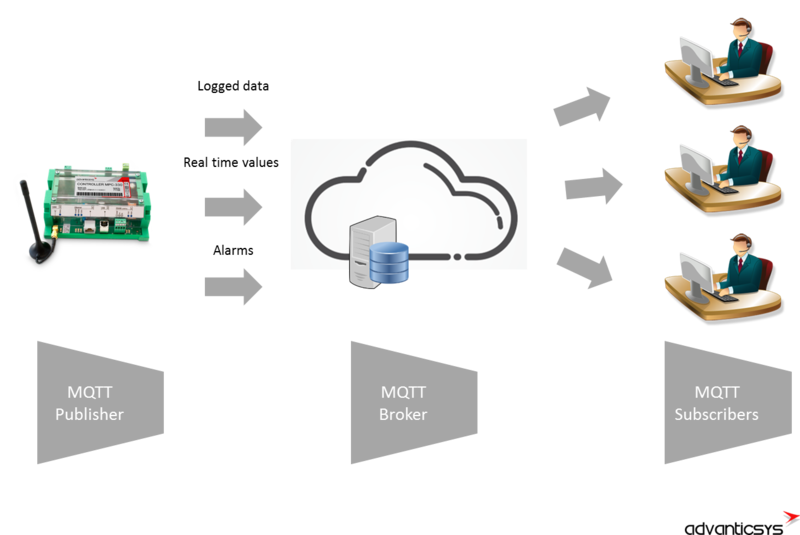 MQTT is a light-weight M2M (Machine-to-Machine) connectivity protocol able to send data in messages with very low bandwidth requirements. -MQTT Broker: is the central element able to receive and forward data. -MQTT Publisher: is the data generator. In our case, MPC-330 plays this role. -MQTT Subscriber: within this architecture, it represents any hardware, software or even physical person consuming those data. The company, founded in 2009 by a group of engineers with over ten years of experience in the industry, currently sells its solutions in 40 countries in Europe, Asia, Africa and America. ADVANTICSYS provides remote monitoring and control systems based on wireless sensor networks and industrial monitoring equipment with applications in areas such as processes control in industry, automated metering or environmental monitoring. Advanticsys recently presented European Energaware project during the Sustainable Energy Week Conference organized by the European Commission in Brussels from 19th to 25th June 2017. The main objective of the EnerGAware project is to reduce energy consumption and emissions by 15-30% in a social housing pilot in Plymouth (UK) by increasing tenants’ understanding and engagement in energy efficiency through the development of a serious game. 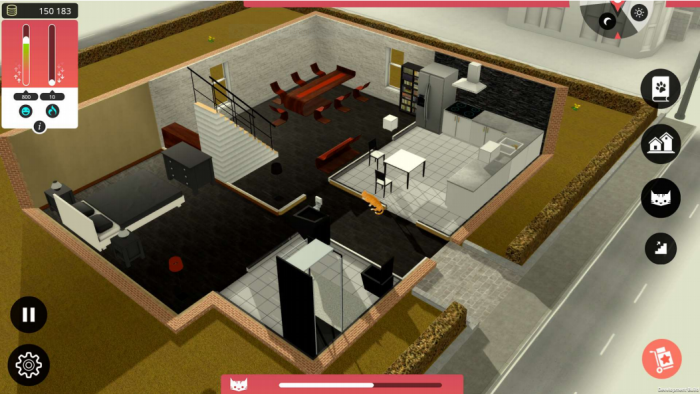 Thus, energy savings virtually achieved in the game and in reality (through the real-time measurement of household energy consumption) enable progression in the serious game. Social media features offer users a platform to share their achievements, compete with each other, give energy advice and join together to form virtual energy communities. Since February 2015, a total of 100 social houses are participating in the pilot. Wireless M-Bus LED pulse sensor for electricity meters. Wireless M-Bus OCR camera sensor for gas meters. Data collection cabinet including our DM-108 wireless bridges, supporting both Wireless M-Bus and Modbus RTU and our UCM-316 data concentrator. They logged and sent meters data to the cloud platform in 15 minutes intervals. Energaware, coordinated by Universidad Politécnica de Cataluña, has been funded by the Horizon 2020 European Union Research and Innovation Programe, and its duration is three years. More information can be found at project dedicated website . Advanticsys extends its projects portfolio with an automated meter reading project in one of the largest District Heating/Cooling networks in the south of Europe, operated by Spanish company Sampol. In particular, this project, located in Palma (Majorca – Spain) provides heating and cooling to the Balearic Islands University (UIB) and the Balearic Islands Innovation Park “Parc Bit”. Built in 2000, it comprises a tri-generation plant providing heating and/or cooling to 25 different customers. Sampol, as DHC operator, requested an end-to-end solution for remotely collecting meters data previously installed. Advanticsys deployed a system based on its datalogger MPC-330 with M-Bus interfaces to read data from Kamstrup meters and to send them periodically through csv files to a remote server. In parallel, a Modbus TCP connection was enabled to support real time data collection from company SCADA. Through this project, Sampol expects to improve network efficiency and as well as the simplicity of securely collecting data. Sampol is a Spanish-owned multinational group founded in 1934, whose business is design, construction and operation of turnkey energy projects (power plants, gas cogeneration, renewables, energy efficiency solutions). Sampol has a permanent presence in Spain, the Dominican Republic, Jamaica, Costa Rica, Panama and Cape Verde and has developed projects in twelve countries spread over three continents. Its turnkey projects encompass more than 55 airports; underground transport systems in six cities; electricity power and co-generation plants for public and private clients; and the installation of hundreds of hotels and resorts, hospitals and assembly halls. The company, founded in 2009 by a group of engineers with over ten years of experience in the industry, currently has 16 employees and sells its solutions in 40 countries in Europe, Asia, Africa and America. ADVANTICSYS provides remote monitoring and control systems based on wireless sensor networks and industrial monitoring equipment with applications in areas such as processes control in industry, automated metering or environmental monitoring. 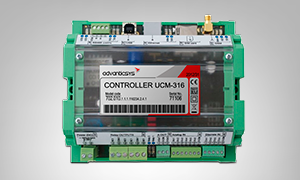 ADVANTICSYS has recently released a new series of UCM-316 Modbus controllers supporting 3G (UMTS/HSPA+) communication worldwide.. Moreover, the brand new devices include a microSD card holder enabling an internal file system which stores data collected and can be accessed from any FTP client software such as Filezilla. Thus, the new UCM-316 can behave both as FTP client (sending csv files periodically to a remote server) and FTP server (accepting connections and data download from remote FTP clients). The company, founded in 2009 by a group of engineers with over ten years of experience in the industry, currently has 16 employees and sells its solutions in 40 countries in Europe, Asia, Africa and America. ADVANTICSYS provides remote monitoring and control systems based on wireless sensor networks and industrial monitoring equipment with applications in areas such as processes control in industry or environmental monitoring. ADVANTICSYS completed the deployment of a complete air quality monitoring solution at Vélez-Málaga, located in the South of Spain. The Municipality requested to have online information concerning different gases concentration values so that they could take appropriate actions when needed. Thus, following customer requirements, ADVANTICSYS proposed a monitoring station composed by the following sensors: PM10, O3, NO2, SO2, CO and H2S. Monitoring stations are able to push data periodically through a GPRS connection to the Advanticsys® Concordia Cloud Platform , hosted in ADVANTICSYS servers. The cloud platform is developed as a web server so supervision can be done from any remote location connected to the Internet with no need to install any additional software, apart from a web explorer. The company, founded in 2009 by a group of engineers with over ten years of experience in the industry, currently has 16 employees and sells its solutions in 40 countries in Europe, Asia, Africa and America. ADVANTICSYS provides remote monitoring systems based on wireless sensor networks and industrial monitoring equipment with applications in areas such as processes control in industry or environmental monitoring.